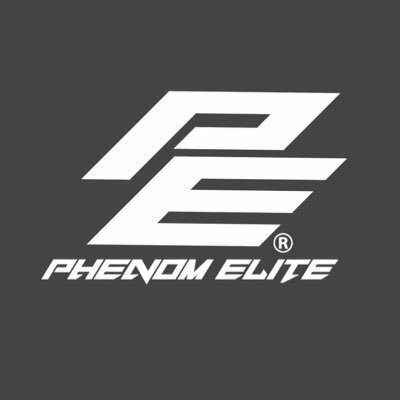 Next PHENOM ELITE Power Rankings will be released on Weds Nov 21st. After a decisive victory over conference foe Miami (OH), The Ohio State University finds themselves in the Top 5 of the 2018 PHENOM ELITE-NCFA Week 8 Power Rankings! Next PHENOM ELITE Power Ranking will be released on Weds Nov 14th. As the final week of the NCFA regular season has concluded, the post season picture has been depicted for the 2018 campaign! In the North Atlantic Conference, defending National Champion Sacred Heart is back in the conference championship game where they will take on newcomer Johnson & Wales, who slides into the playoffs all thanks to a Clarkson victory in Week 8. This game will be played under the lights at Sacred Heart on Saturday at 7pm. In the Mid-Atlantic Conference, powerhouse newcomer The Apprentice School has clinched the Mid-Atlantic East and will take on the Mid-Atlantic West Champion Ohio State. The game will be played at University of Pittsburgh’s Sports Dome on Saturday afternoon at 3pm. In the South Atlantic South Conference, Fort Lauderdale continues to reign supreme and will take on the South Atlantic North Champion Middle Georgia State in the conference championship game. The game will take place at Middle Georgia State and is set for a 3pm kickoff. Finally in the Great Lakes Conference, Oakland has continued their winning ways and has earned the right to host the Great Lakes Title Game by clinching the Great Lakes East. The Great Lakes West Champion Robert Morris will look to take down the powerhouse program in Oakland’s own backyard. That game is scheduled to kick off at 1pm. Stay tuned to the NCFA Facebook and webpage for the Phenom Elite Week 8 Power Rankings which are set to be released on Wednesday, November 7th. After a dominant conference victory over Coppin St, The Apprentice School has climbed 2 spots into the Top 5 of the 2018 PHENOM ELITE-NCFA Week 7 Power Rankings! Next PHENOM ELITE Power Ranking will be released on Weds Nov 7th. Eastern Michigan has violated NCFA Rule: 14.05.0 by not having three approved officials present within 45 minutes after the officially scheduled kickoff time for their Week 6 game against Oakland. By rule, Eastern Michigan has forfeited that game & have automatically been placed on probation. After a crucial conference victory over University of Pittsburgh, Miami (OH) has climbed 9 spots into the Top 10 of the 2018 PHENOM ELITE-NCFA Week 6 Power Rankings! Next PHENOM ELITE Power Ranking will be released on Weds Oct 31st. South Carolina has violated NCFA Rule: 5.02.2 by having zero players on their eligible roster at the time of their game vs Columbus State. By rule South Carolina has automatically been placed on probation. After a decisive non conference win over Wright State, UNC Greensboro has climbed 5 spots to #5 in the 2018 PHENOM ELITE-NCFA Week 5 Power Rankings? Next PHENOM ELITE Power Ranking will be released on Weds Oct 24th. After 4 weeks of play on the books, the 1st power rankings of the season have the defending champions (Sacred Heart) on top of the mountain. Where does your team stand in the 2018 PHENOM ELITE-NCFA Week 4 Power Rankings? Next PHENOM ELITE Power Ranking will be released on Weds Oct 17th.